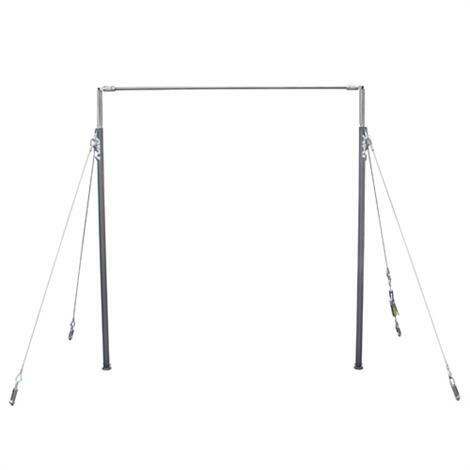 This single bar trainer adjusts from 92-1/2’’to 102-5/8" (235cm to 265cm) in 5cm increments and has a 12' x 6' Footprint.This product simulates a competitive top rail and has great action for release moves. Best for training elite level skills. 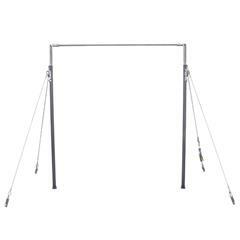 Also works with the AAI Universal Spotting Platform.